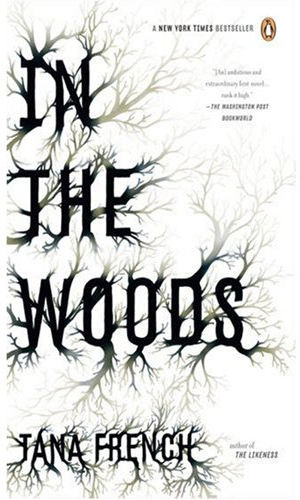 I don’t represent thrillers these days, mainly because I don’t read them very often. I’m not sure I’d recognize the next Stieg Larsson or James Patterson if their novels were on submission in my stack. Somewhere along the line my reading taste became boring, and I stopped reading commercial novels. I’ll admit it, I became a reading snob. I have a theory about how this happened. My tastes have changed since I was a kid. In grade school I was nuts for Christopher Pike’s YA thrillers, and remember being scolded in math class when my teacher discovered that I was reading Remember Me behind the textbook that I had propped between the desk and my lap. I also read every Louis Duncan novel I could get my hands on, and was once admonished by my school librarian that I had to share the books with other students and couldn’t check out three at a time from the lending bin. I also read some Grisham, some Mary Higgins Clark. No one enjoyed Jurrassic Park more than I did. Then I went to college. I majored in English Lit, and my reading list was heavy on the classics. 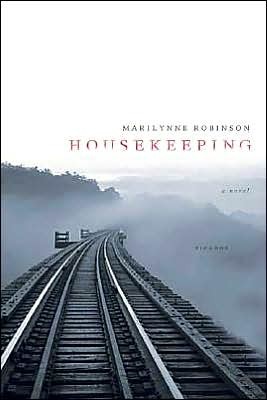 It was also heavy on “quiet” literary novels, such as Marilynn Robinson’s Housekeeping and Alice McDermott’s Child of My Heart. Perhaps because several class periods were devoted to admiring these reads from every angle, I loved these books with a previously unmatched intensity. They are still two of my favorite novels, even though I can’t really remember what happens in them. Their critics might tell you this is because absolutely nothing happens in them. These are not plot-driven books. They are about characters, and they capture a time and place with a fullness that is disarming. These books have an ephemeral quality for me. They are beautiful and aching and wise and seem to touch upon something like truth, shimmering and elusive. They are like long poems that you have to read slowly to understand. As I threw myself into “literary” fiction, the thrillers I once enjoyed slipped away. It would be years later (after both college and a grad school program in creative writing) that I would venture into this territory again. When I did I couldn’t relate. I read an awful Jonathan Kellerman novel (number twenty-something in the Alex Delaware Series) and Stephen King’s Lisey’s Story, which is so low on my list I actually donated it to Good Will the day after I finished it. Where was the subtlety, the understated drama? The quiet chaos that lurked just beneath the surface? The answer? Well, the drama and chaos was all above the surface. The question I asked myself while reading was no longer, “what is the character’s secret heart?” but rather, “what is the villain going to do with the dead character’s heart?” And I’d lost my lust for blood. Sometimes I wonder, did my education warp my ability to enjoy a book for fun? Will my tastes ever again align with the masses? I think yes, on both counts. The pride I feel for having slogged successfully through Spenser and Milton has earned me, I think, the right to be just a little bit haughty about books. But I’m finding more and more that what I crave these days isn’t a challenging literary read, but an entertaining story. Maybe I’ve gotten lazy, but I think my pleasure reading could use a few more murders and explosions. 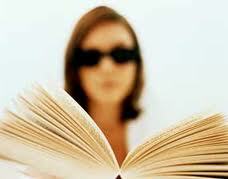 The truth is that the greatest books of all are the ones that combine great writing with great story. I must truly be a child of the 80s in America, because I’m greedy and I want it all. Every once in a while, I get my wish. Picture a summer stolen whole from some coming-of-age film set in small-town 1950s. This is none of Ireland’s subtle seasons mixed for a connoisseur’s palate, watercolor nuances within a pinch-sized range of cloud and soft rain; this is summer full-throated and extravagant in a hot pure silkscreen blue. This summer explodes on your tongue tasting of chewed blades of long grass, your own clean sweat, Marie biscuits with butter squirting through the holes and shaken bottles of red lemonade picnicked in tree houses. It tingles on your skin with BMX wind in your face, ladybug feet up your arm; it packs every breath full of mown grass and billowing wash lines; it chimes and fountains with birdcalls, bees, leaves and football-bounces and skipping-chants, One! two! three! This summer will never end. I can’t remember when I’ve read a more gorgeous or evocative opening paragraph. A nuanced setting rendered in deliciously sensory prose, and just wait til you delve into the story within. This is one bestseller I’m proud to indulge in. 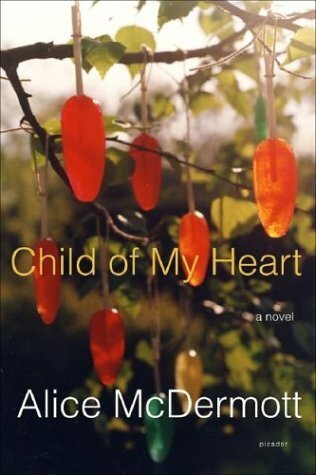 This entry was posted in books, Uncategorized and tagged Alice McDermott, book snob, Child of My Heart, commercial, fiction, Housekeeping, In the Woods, literary, Lois Duncan, Marilynne Robinson, MFA, Stephen King, Tana French, thrillers. Bookmark the permalink. I couldn’t agree more with your comment, “The truth is that the greatest books…combine great writing with great story.” I don’t read fiction for plot, but it’s nice if there is one. I read fiction for the the language, the musicality of the sentences, an interesting observation, and for the way the author has captured a particular moment in time or gotten me to ponder something in a new way. As far as the plot goes, hello, it’s fiction. It’s hard for me to get caught up in what’s going to happen next because I know it’s all made up. But combine a paragraph that I’m compelled to read several ties, to highlight, to share with friends, along with an interesting storyline, then it’s worth my time. As a side note, one day I discovered I felt the same way about movies. Once I started taking writing seriously I found that movies no longer had the power to scare me, to make my heart pound at what might happen next, because I saw each scene as a plot point, as a device. But with movies there’s always the visual to keep me engaged. So what you’re saying is that we were the same kid prior to college? L.Duncan and Christopher Pike = YES. Aaaand I don’t consider literary fiction “not reading for fun”. I can reread my favorite books over and over because it’s not what you say so much as how you say it; I read for beauty.